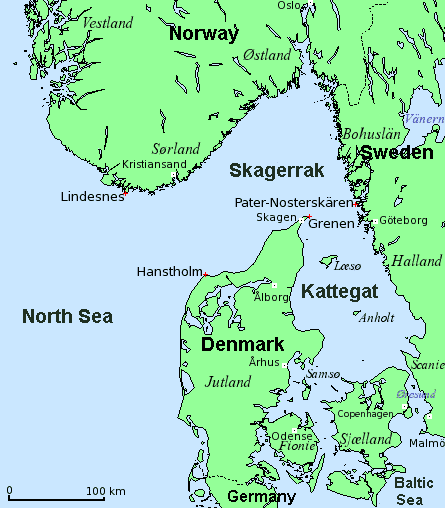 Map of Skagerrak and Kattegat (Denmark, Norway, Sweden). The Battle of Jutland, was named by the British for the nearby Jutland peninsular, and was named as the Battle of the Skagerrak by the Germans, after the portion of the North Sea in which it was fought. Depending on the history one is reading, either names are used which can be confusing. The map above should help make sense of it all but maybe not. 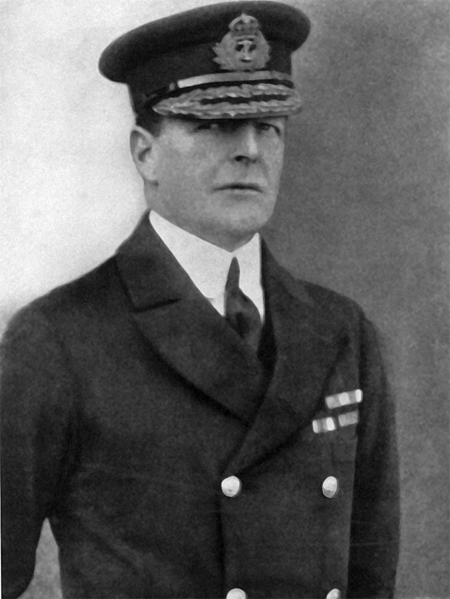 David Beatty, 1st Earl Beatty (17 January 1871 – 11 March 1936), was an admiral in the Royal Navy, and participated in the Battle of Jutland by using his squadron to lure the German fleet towards the waiting British Grand fleet under Jellicoe. As an unmarried young officer he had a scandalous affair with a married daughter of Marshall Field, the very wealthy department store magnate from Chicago. Eventually the woman divorced her husband, and married Beatty, although the marriage was not a happy one and Beatty continued to have his affairs and she apparently did as well. His flagship, HMS Lion, was pummeled by the German ships and almost blew up as well since she had the same design flaw in her powder magazines as did the two battlecruisers which had just blown up. Only through the extraordinary courage of Major Francis Harvey, the Royal Marine officer commanding HMS Lion’s Q turret did the Lion not explode. Hit by a German shell which killed almost everyone in the turret and the powder magazine, the mortally wounded Harvey ordered the flooding of the turret’s magazine which saved the ship from exploding like her consorts. He was posthumously awarded the Victoria Cross. June 1916. 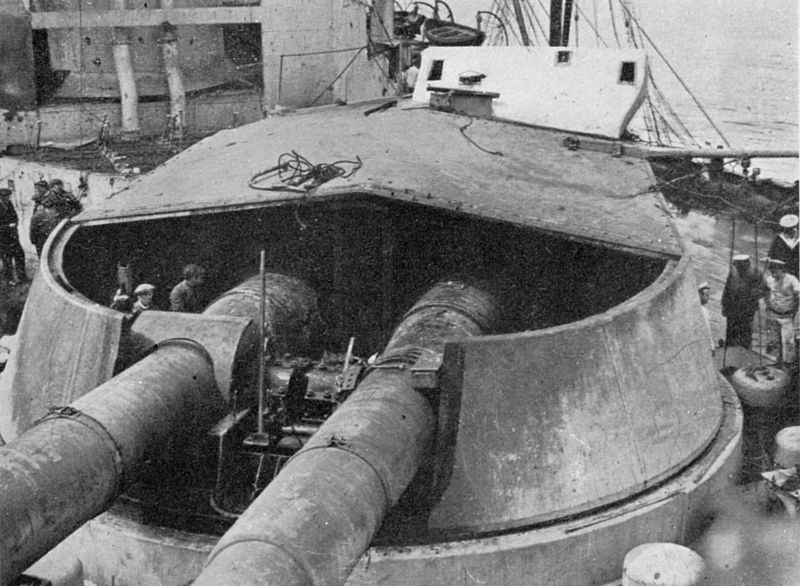 Damage to Q turret of British battlecruiser HMS Lion after the Battle of Jutland. Front armour plate has been removed.